Please join me in welcoming Hendy to his first official post for the blog. -Martin. 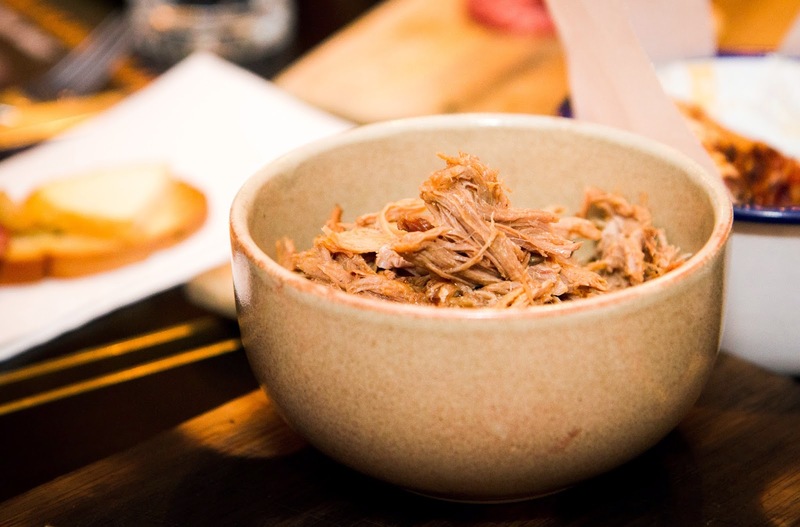 When I first heard of this event, I got curious as I'd never paired or even thought about pairing whisk(e)y with meat. 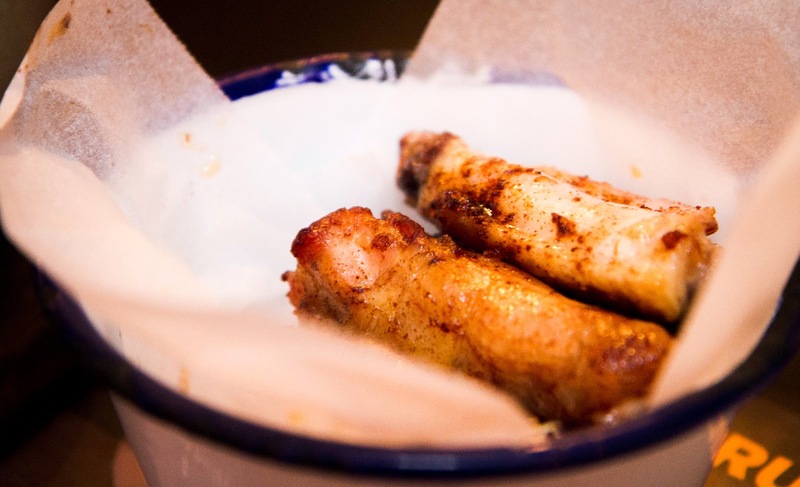 Though when you think about it, it does make sense to pair a smokey charred meat dish with, perhaps a peaty, smokey whisky (and they don't come a whole lot more peaty than some of Bruichladdich's offerings). The event was a collaboration between the South Trade and Eastern Hotel teams, and was a rather interesting night, as it introduced what is, in my view, the contrasting nature of different whiskies; low parts per million (ppm) to crazy phenol-laden mega-ppm, Islay to Kentucky, barley to grain, whisky to whiskey. 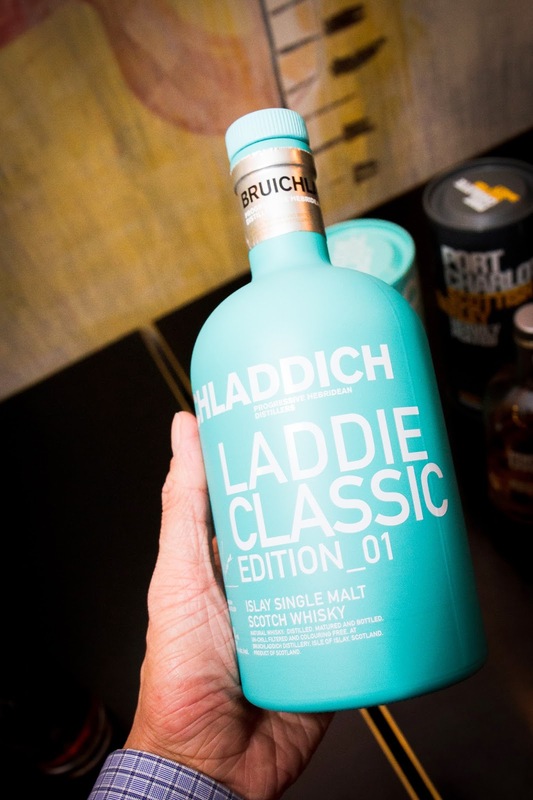 The line up was great, though the ever famous Octomore was absent from the Bruichladdich range, having its peaty self represented on the night by its slightly less peaty brethren; the Port Charlotte Scottish Barley. The night began quite nicely with the original Buffalo Trace bourbon, also once known as George Stagg. This original feature bourbon from the Buffalo Trace distillery was rather enjoyable, exhibiting sweet flavour notes including toffee and caramel - a good start to the night. 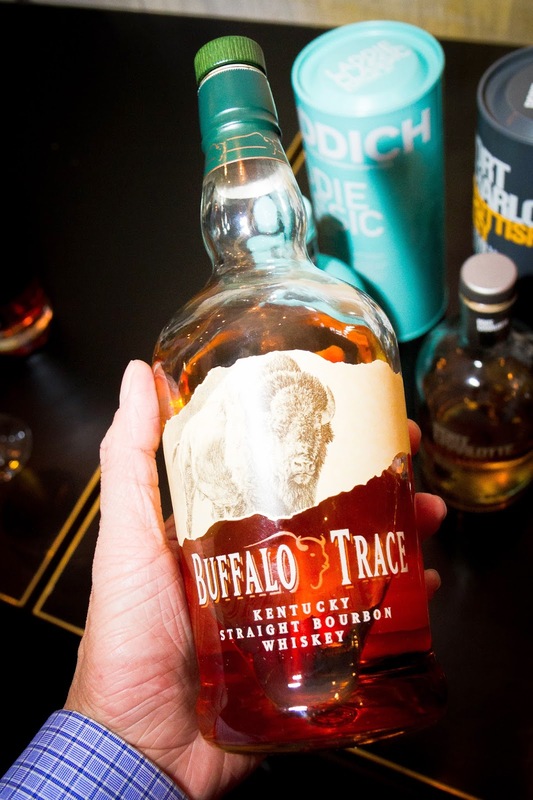 One interesting fact with this bourbon and the distillery from which it came - the name of the bourbon and the distillery have both been adapted from the group of buffaloes that would migrate through the Kentucky river close to the distillery, leaving their marking 'trace' or trail. 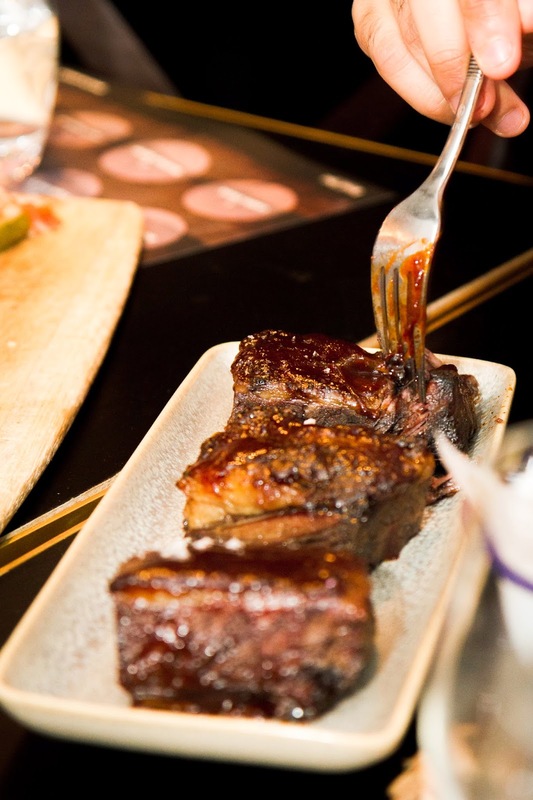 Throughout the night, different meat dishes were served including cold meat platters to begin, smokey and sweet BBQ NZ Greenstone Creek short ribs, slow cooked (read:18 hour) shredded Berkshire pork shoulder, and buffalo chicken wings (Ed: I'm getting hungry...). 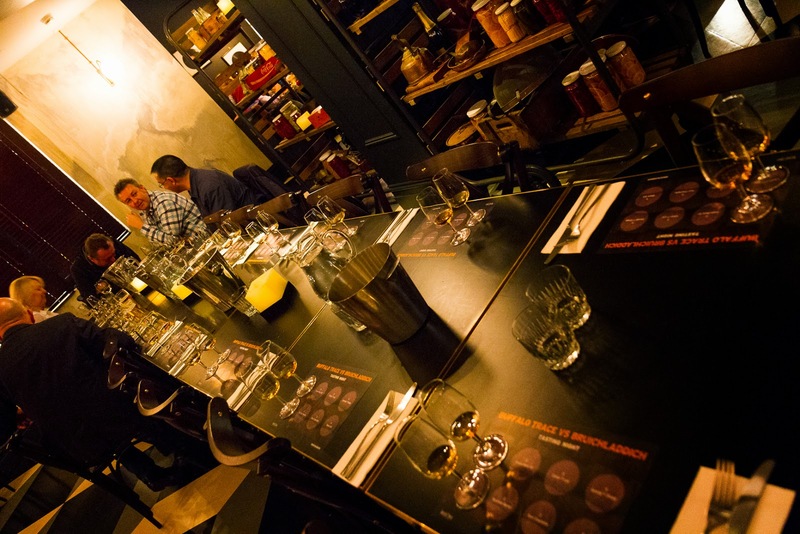 All the dishes were there to get our palates excited, whilst also being designed to complement the drams being served (the focus of the night was clearly on the whisky). Johannes from South Trade touched on some details of the Bruichladdich peating process that underpins Bruichladdich's famous super heavily peated Octomore, the less heavily peated Port Charlotte Scottish Barley and other peated range involves (for those unfamiliar with peated malts) the burning and layering of the aromatic peat compounds below the racks of barleys during the barley drying process. By placing below the layers of barleys the barley absorbs as much aromatic smoke from the peat compounds as possible, creating the peated whiskies we all know and love. 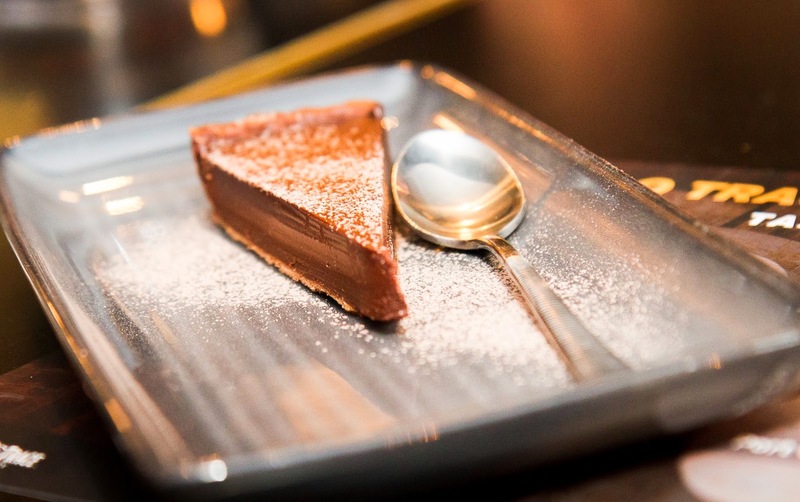 It was towards the end of the night, when the decadent slice of chocolate cake was served that I encountered my two favourites - the Elmer T Lee bourbon from Buffalo Trace and the Bruichladdich Black Art (3). 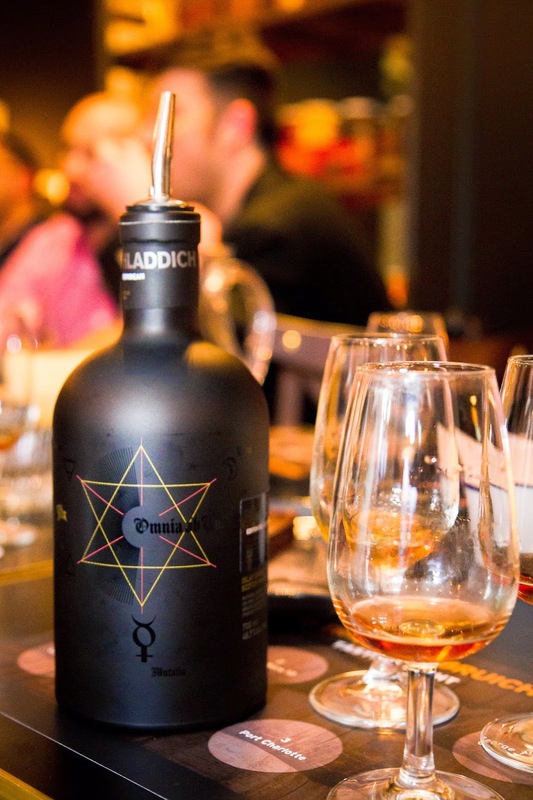 Both of these whiskies are wonderfully creamy, rich and complex. 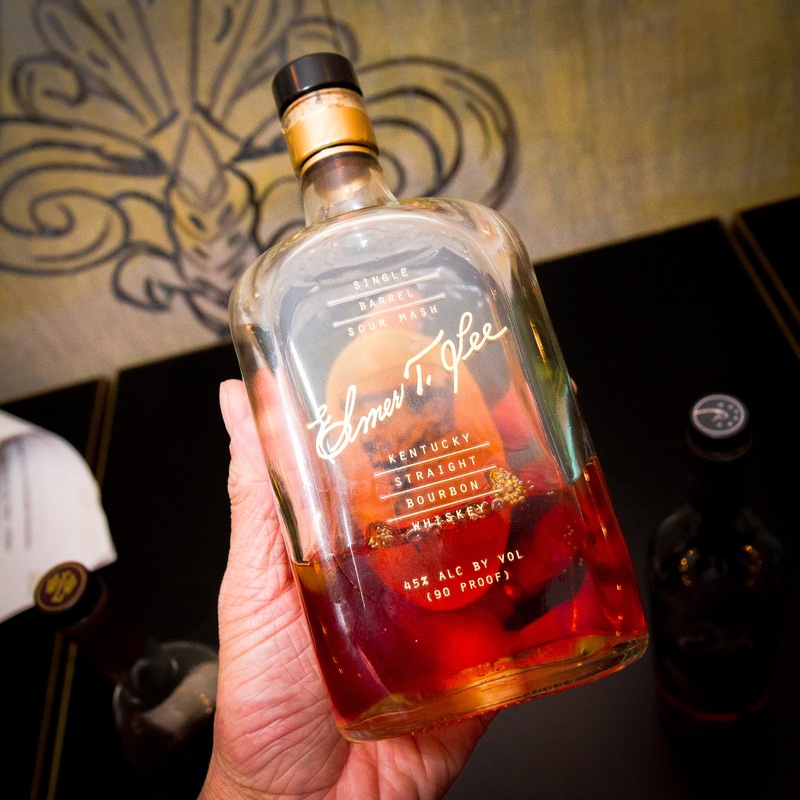 The Elmer T Lee was able to carry the sweetness from the oak from the nose through to the palate and beyond. I did wonder whether I was devouring an ice cream from the glass - quite wonderful. The Black Art carried similar sweet notes. Being unpeated, the Black Art smelt not of peat, but of rum and raisin and honey. It was quite leathery on the palate, though this might relate to the older age of the (22yo) whisky - nevertheless beautiful. The finish, similar to the Elmer T Lee, excellent. The Black Art and the Elmer T Lee lasted well beyond the palate. As with all good things, they must come to an end. The end of the night was capped off with a slice of a sweet decadent chocolate cake along with a dram of William Larue Weller bourbon. Both, I have to say, were intensely rich. 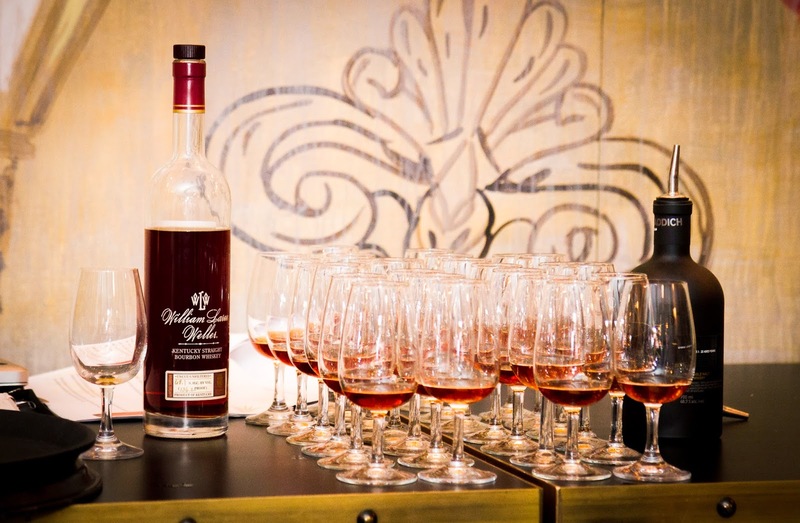 The bourbon, big and long on the palate and the cake intensely rich and sweet. So, after all the pairing, was I sold on the pairing between whisky and meat? Yes and no. I still prefer my dram nice and neat, perhaps a pairing with a cigar? 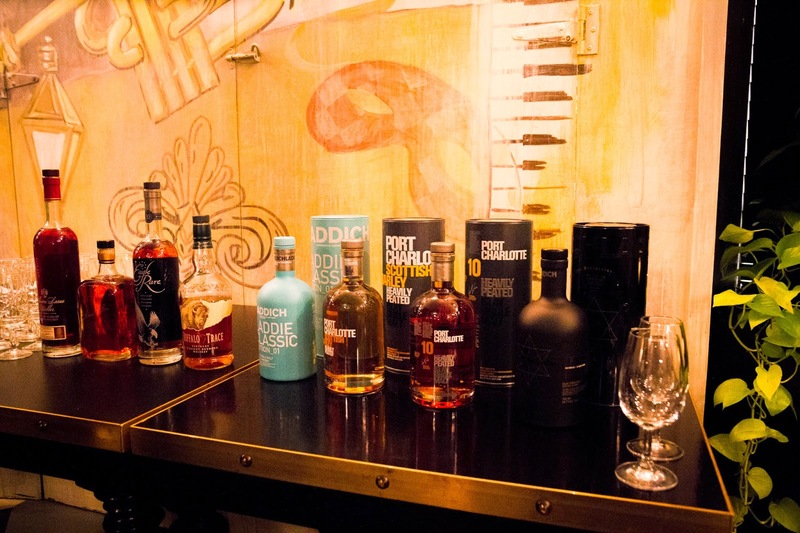 Though the line up tonight was indeed very sweet, quite literally for a number of the drams. Palate: The vanilla flows from the nose, then peppery spicy, salty, seaweed? Rating (on Hendy's very non-scientific scale): 89/100. Rating (on Hendy's very non-scientific scale): 92/100. Rating (on Hendy's very non-scientific scale): 90/100. Rating (on Hendy's very non-scientific scale): 93/100. 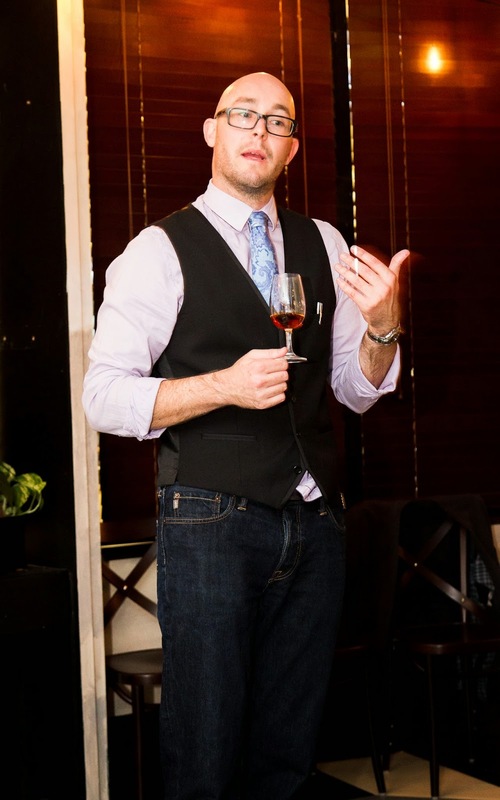 PR #21: New Chivas Regal "Extra"